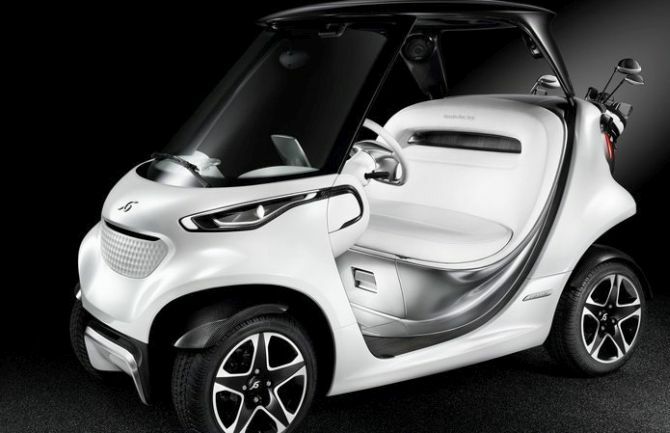 The idea for this project originated back in 2013 when Mercedes invited candidates to submit design ideas for a futuristic golf cart. 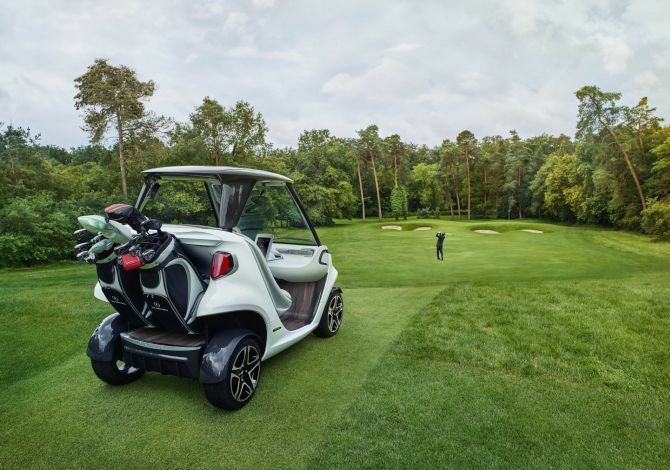 Now, the prototype of the Golf Car is ready, all thanks to the partnership between MB designers, Daimler’s Business Innovation Think & Act Tank and Garia. 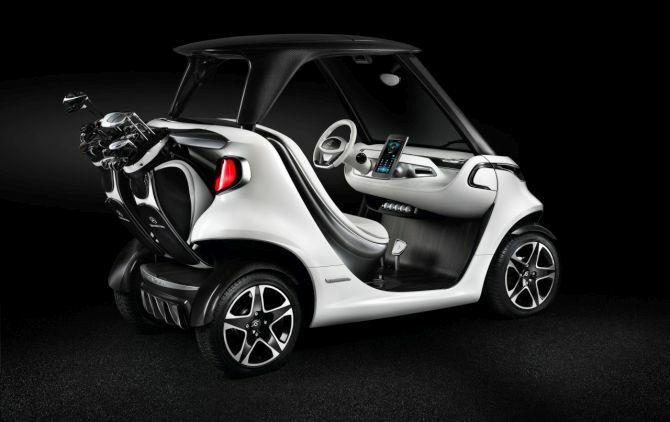 Described as sporty and well-balanced, the Mercedes-Benz Style Edition Garia Golf Car comes with a large, curved windscreen and a carbon-fiber roof. The extra sporty touch is provided by a small rear spoiler which acts as a golf bag holder and accommodates two golf bags. Inside the Golf car, you’ll find sensual wood decor adorned with high-quality, light-colored leather. 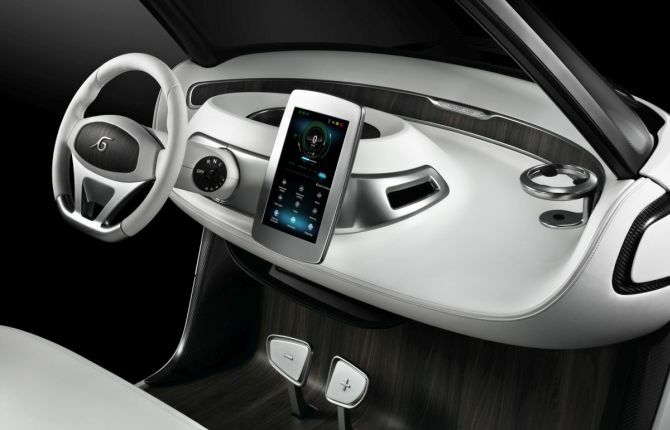 The electric vehicle comes with a refrigerator under the bench seat along with bottle and glass holders on the dashboard and the passenger side. Also, there is a stowage tray under the dashboard designed for holding golf balls. An integrated onboard 10.1-inch touchpad is there to display information about the game such as layout of the golf course, current position and even an electronic score card. Besides that, one can manage driving modes and control headlamps, windscreen heater and the wipers with a touch of a finger. 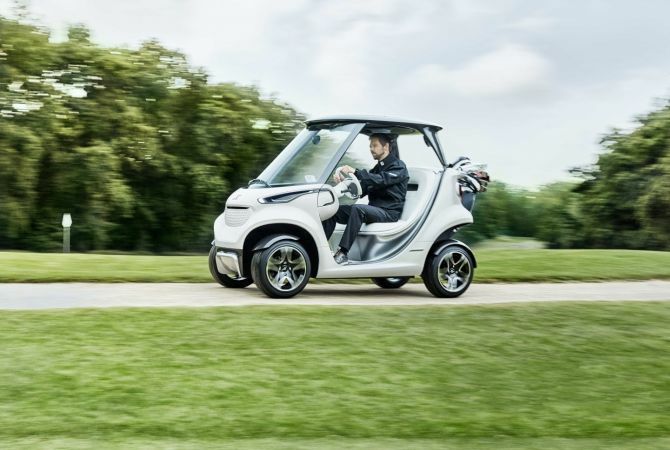 Weighing 440 kg, the Mercedes-Benz Style Edition Garia Golf Car comes with a top speed of 30 km/h and has a range of up to 80 kilometers. 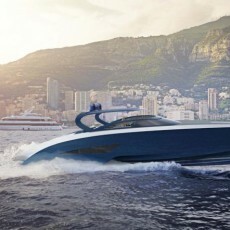 The charging time for the lithium-ion battery is six hours. Currently, only two prototype of the Golf car will be manufactured to see the reaction of people. Therefore, if everything goes well, we might see a production ready model in the near future.